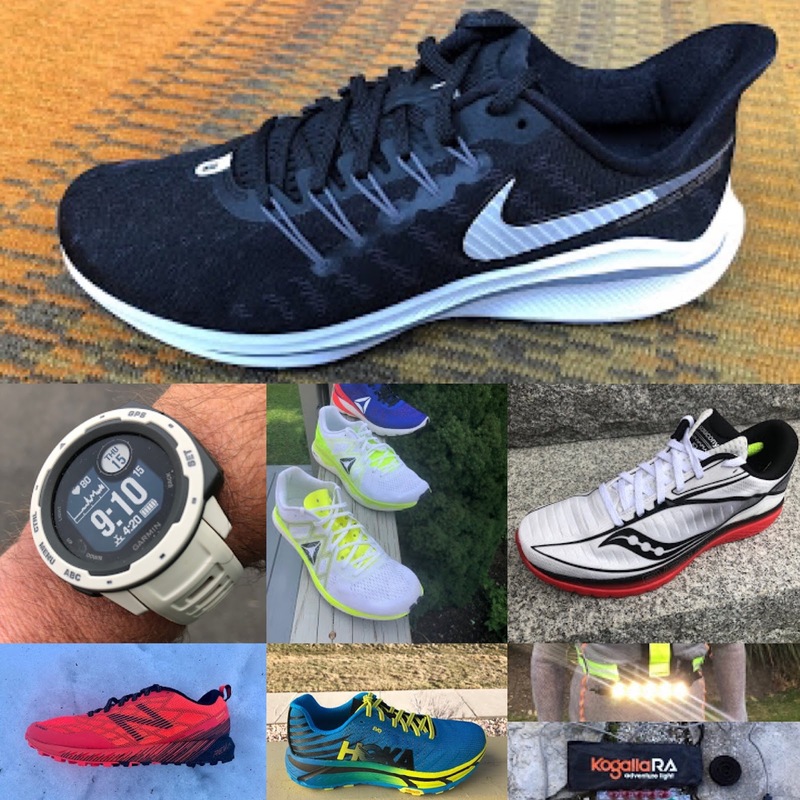 We tested lots of run gear this year and bring you some of the best we found for the season. The ruggedized military standards tested (shock, dust, and 100 meter water resistance) Instinct is a new run and outdoor adventures focused GPS and wrist heart rate smart watch at a great price. It’s unique 2nd window screen offers customizable data and operating tips. The Instinct, while not having all the physiology and recovery metrics of the Fenix and Forerunners, does offer breadcrumb course navigation, two compasses and a barometric altimeter along with all of the on watch run training and even swim features and customizability of its pricier siblings. Battery life is a very commendable and in our testing GPS and wrist heart rate accuracy were all top notch. Battery life is up to 14 days smartwatch mode (we assume this includes no GPS/HR training sessions but all walk activity and sleep), GPS mode up to 16 hours, UltraTrac up to 40 hours. In our testing got just shy of 6 days of battery life including 8 hours of running with 24/7 activity and HR monitoring. Polar fans and serious data oriented athletes seeking a more stylish and modern full multi sport replacement for the venerable V800, and one with wrist heart rate and long, long battery life (we estimate 36-40 hours in full GPS/HR training mode with best sampling) should consider the Vantage V.
The Vantage is a pure high end training system in a stylish classy watch which you can wear around the clock to any “occasion” We say pure as with Polar and its V the focus with this well executed but still in progress watch is not on smart watch convenience (music, contactless payments, even currently phone notifications) but deep training utility. It provides copious insights from its new Training Load and Recovery Pro features as well as Sleep Plus tracking on the watch as well as at the app and Polar Flow web site. The watch is extremely comfortable on the wrist, probably the most comfortable we have ever tested and relatively light at 66 g. The band is a soft slightly stretchy silicone with a bit of texture. The buttons sit closer to the face so no wrist pressures when sleeping or sharply bending the wrist. While features such as phone notifications and tweaks are yet to come through updates to this brand new operating system and hardware, we found its GPS and wrist heart rate, which uses 9 optical channels in two colors as well as four skin contact sensors to be accurate and reliable on our dominant wrist. The V also includes wrist based power sensing for running, a first as far as we know. Power is also used to derive in another first, Muscle Load. To take full advantage of the recovery system purchase of the H10 chest heart rate strap ($90) is recommended as it is used to accurately measure HRV and RHR at wake up through an orthostatic test, factors used to better determine cardio load and recovery. While activity is tracked 24/7 as is the sleep, the option to monitor heart rate 24/7 outside of training, this data not currently being used anywhere, puts a considerable drain on the battery life. We got 3 days of use with about an hour of training per day included with 24/7 heart rate going, With it off outside of training we got a very stout 7-8 days with approximately an hour of running with GPS and HR going per day. As with all brand new platforms, features and fixes will come and Polar is a super serious company. A lighter lower cost Vantage M ($280) without barometric altimeter or power and with 30 hour battery spec is also available. Vantage V RTR review coming soon. Fitness bands have somewhat fallen by the wayside with the explosion of smartwatches but they certainly still have a place. The vivofit jr. 2 engages children in tracking their activity and even competing with their parents, and of course siblings, to see who got the most steps, and how well they completed their chores and assignable by parents and for themed story reward points. The band also tracks kids’ all important sleep metrics. Our testers Amelie and Isabelle, 8 year old twins, and their dad Jeff, really enjoyed the challenge of this useful and fun tech. Their full review is here. Completing activity and chore goals unlocks stories in the accompanying Disney Marvel, Princess, Star Wars themes in the app. The Vivosmart 4 is among the smallest, lightest (17g), and most discreet fitness bands we have ever seen. 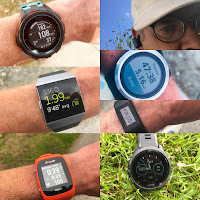 While there is no GPS here and the screen while sharp is tiny so difficult to see in sunlight but great indoors.The Vivosmart includes all the activity tracking and “smart” features of Garmin’s fitness watches and then some. The Vivosmart 4 is ideal for athletes who want to track heart rate, sleep, notifications and activity 24/7 without wearing a Garmin fitness watch all the time, for example if you have a more “classic” watch or jewelry on the wrist. Joining the high, high end of Garmin, the Fenix 5x Plus, the Vivosmart 4 includes a pulse oximeter sensor to measure blood oxygen saturation while sleeping or at any time. Athletes can also use pulse ox to help measure altitude acclimatization. The Body Battery metric displayed above and below in the Garmin Connect app is another new and unique feature: “It uses a combination of stress, heart rate variability (HRV), sleep and activity data to gauge your body’s energy reserves at any moment, so you can plan your day to optimize times for activity and rest.” We found it effectively presented our full activity picture and its impact. If you have another Garmin tracking activity you do need to make sure the Vivosmart is set to be the default and worn concurrently, for example during runs. The new Suunto 9 is the brand’s flagship multi-sport watch. It features leading battery life of up to an amazing 120-140 hours combined with accurate tracking for long runs, hikes, and other adventures. It achieves this double whammy of long battery life and accurate tracking through Intelligent Battery customization and using its gyro, compass, and accelerometer to fill in the track between less frequent battery saving GPS satellite pings. Even at the longest projected battery life we found the resulting on the ground track admirably accurate. The new Valancell wrist heart rate sensor definitely improves on prior Suunto performance. 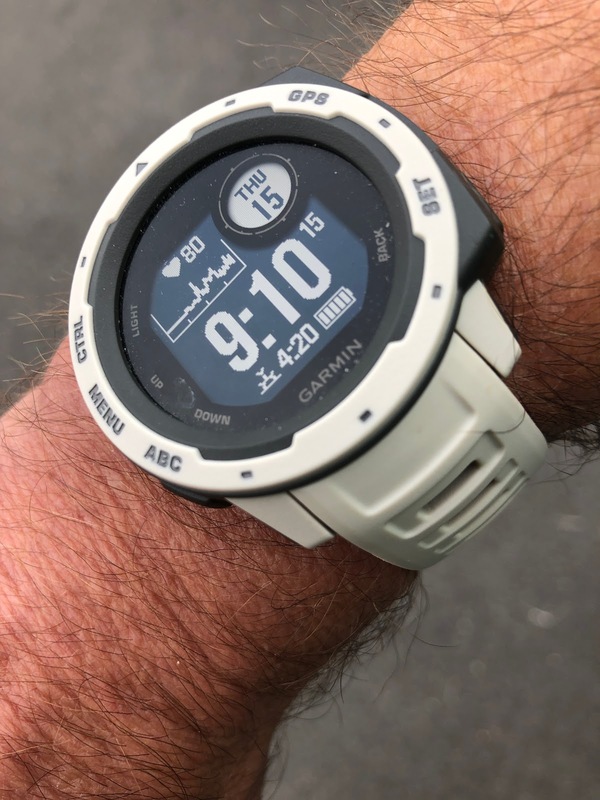 This is a big and heavier watch (81 g and 50 mm diameter), and all heavier watches including the S9 and regardless of brand, may struggle at times to get consistent readings in colder weather on the run. As always we advise wearing GPS watches on your dominant wrist during runs especially if you have a thin wrist. Altimeter readings are spot on with breadcrumb navigation and basic phone notifications also included. The interface combines easy to operate buttons during runs with touch screen modes for day to day use. Sports modes are highly customizable. This ingenious case and sports strap combo protects your Apple Watch from dings and provides a secure wrist wrap during sport. The case can be matched with other straps or the strap can be used solo without the case. The rear of the case has a patent pending “ping pong” paddle pattern of raised dots intended to improve optical heart rate performance in water and on the run. We found it generally effective on the run, somewhat reducing high spikes early in runs. Jaybird focuses on running and their attention to run and other outdoor specific features shows here. The Pro features a market leading 14 hour battery life for those ultra long adventures or just not to worry about battery. Low battery? You can get 2 hours play with a 5 minute charge. The buds are waterproof to IPX 7 to protect from sweat and moisture. The sound quality is outstanding with tuning via Personal EQ a technology derived from hearing aids from a range of tones dialed in by listening and then sliders in the app which also includes run focused playlists and presets for various styles of music, The fit is customizable with a braided reflective cord to snug the buds securely. The 5 LED Kogalla is one of our big finds of 2018. Casting a soft, warm, and shadow and broad light of up to 800 lumens, the Kogalla sets a new standard for night time running visibility on road or trail. its huge beam lights the trail and keeps the road well in sight and vehicles very aware of your presence. Shop for Kogalla RA HERE. Use our discount code: RoadTrailRun for 25% off! 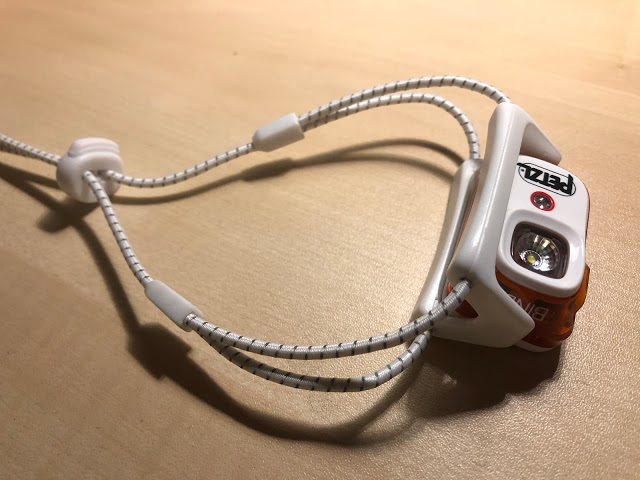 The tiny 35 g Bindi is the perfect back up light to the Kogalla and at 200 lumens a lightweight option for road running, walking the dog and hiking. Featuring a versatile adjustable cord instead of the usual strap, the Bindi can also be worn as necklace with the light pivoting on its mount. While rated at 2 hours on maximum power we saw up to 3.5 hours in testing. The battery is USB chargeable but not swappable. Pricey, with a modern yet vaguely retro Japan inspired take, NYC based District Vision is deeply in tune to holistic running and fine design. A multitude of frame and lens designs, all handcrafted in Japan using therapeutic grade polycarbonate lenses are coated on the inner face with an anti reflective coating and both sides with a very effective oil and water repellent coating. The Black Rose lenses of our sample transmit visible light between 15% and 31% so somewhat photochromic extending their range. We found the color as advertised very natural and easy on the eyes and the optic quality outstanding. In addition to running they make outstanding all day driving glasses. The end of the temples are open and can accomodate an optional sports strap. Equipped with a polarized Enliven lens designed to make greens, reds and blues really pop with definition, the view through these smaller size, close to the face glasses is sharp and sharp looking if a bit dark away from brighter sun, other lens types are also available. The Grilamid frame has high bending strength, is light and high resistance to chemical and UV damage. The ear and nose pieces are adjustable. Designed to meet tactical standards, the Vero lens material meets or exceeds shooting glasses standards. After all the fancy gear above how about a stocking stuffer! The SoftFlask 500ml is a super versatile squatter format than the usual soft flasks. As such it fits securely in all kinds of vest pockets. It's soft thin and durable strap makes it a great hand carry option as well. 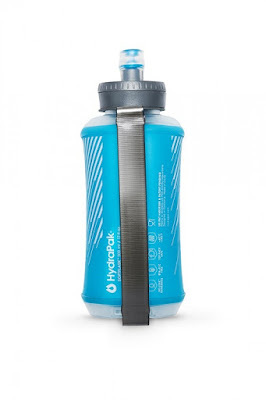 It has accompanied us on most warmer weather runs this year in hand or in pocket! Photo Credit: Jeff Valliere, Sam Winebaum, and featured brands. The products covered in this article were provided at no cost. The opinions herein are entirely the authors'. First time I heard about putting GPS watch on dominant wrist. 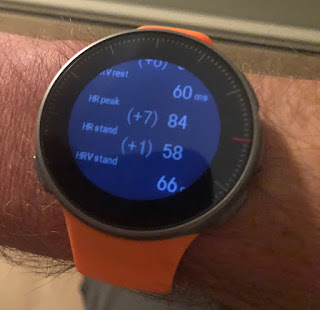 I know you should wear a watch you track 24/7 activity with on your non-dominant wrist to get more accurate readings, but always thought it wouldn't matter for GPS. Care to explain, please, why you suggest doing so? Glad to explain. In every full review we include text similar to the following for wrist HR. I have small wrists and the larger and heavier the watch accuracy can suffer, particularly in colder dry conditions when the sensing can confuse cadence with heart rate. If in run wrist HR date is vital I always switch to my dominant wrist as dominant wrists have more girth and better blood flow and are where I almost always get better accuracy. 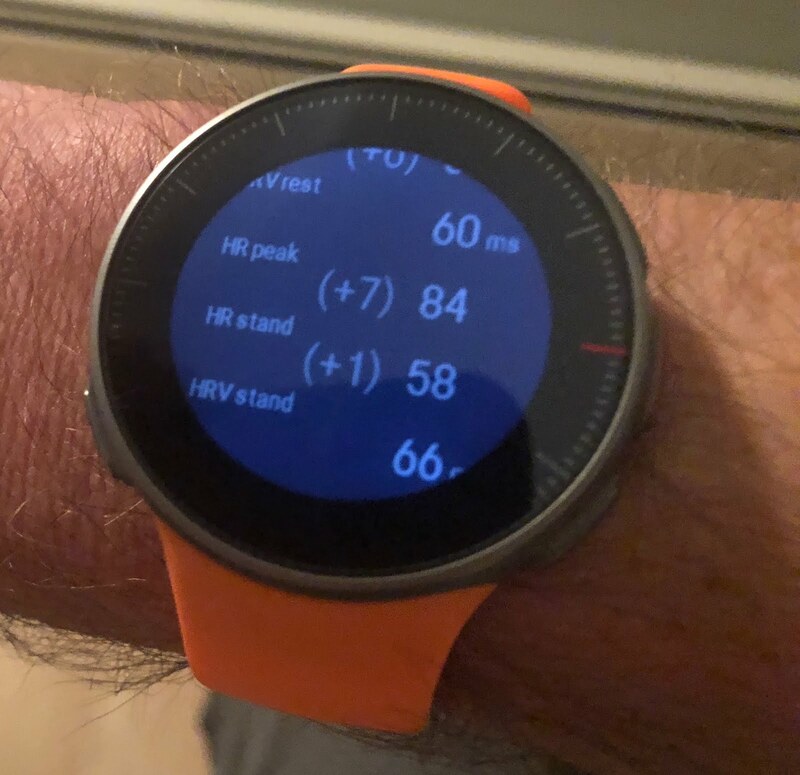 Wrist HR is also affected by clenching say in the weight room and the bumping along while holding handlebars as here to the sensing can be affected by lower blood flow and the bumping. For these situations a chest strap may produce more accurate HR readings. As always we advise wearing GPS watches on your dominant wrist during runs especially if you have a thin wrist. Awesome post.Thanks For share this post with us.Leather wristbands & bracelets began to inherit quality regarding three or four years past. Celebrities began to wear them.women leather bracelet Slowly, the overall population began to wear them a bit. Soon, they become not an adjunct that was gothic or extreme, the additional conservative animal skin.